The last time we surveyed the Durban to Johannesburg flight path Nationwide Airlines was grounded, 1time airlines' flights were fully booked (it's difficult when you're popular) and British Airways were cheapest! Happily today all South Africa's major airlines are up and running. Well done Mango Airlines, on your record low flight price to fly from Durban to Johannesburg, of R296. The previously lowest flight price we've surveyed on the Durban to Johannesburg flight route was R315 on the 28th July 2007 by Nationwide Airlines. However, the record flight price on any route still belongs to Kulula airline (R288 from Cape Town to Durban in a 21 July 2007 survey). British Airways have shaken up the trans-atlantic airline industry by launching OpenSkies, OpenSkies Airline flights will take place from Brussels and Paris (more destinations to be added later) to New York, taking advantage of the EU-US open skies agreement signed in 2007. Good luck to OpenSkies Airline. 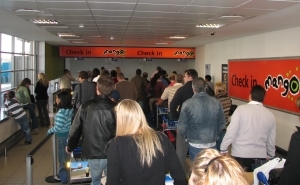 Nationwide airlines offered the cheapest flights most regularly in 2007; whilst Kulula and Mango airlines also claimed prizes for cheap flights on Cape Town, Johannesburg and Durban flight routes. The cheapest time to fly in 2007 - July/August - see all the results in our 2007 cheapest flight survey. on the 20 hour flight to Cape Town - "By the time we arrived, we were exhausted"
"Summer here brings stiff winds"
Hermanus - "gives Big Sur and Australia’s Great Ocean Road a serious run for their money." 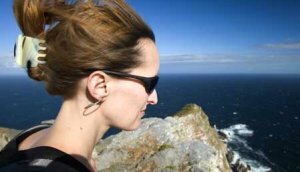 Sara's catching a flight from Cape Town to Windhoek next, we look forward to hearing her thoughts on Namibia. 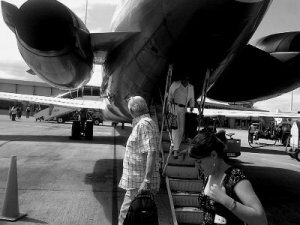 Nick van der Leek posted a few artistic photos of Nationwide and other airlines on his photoblog. 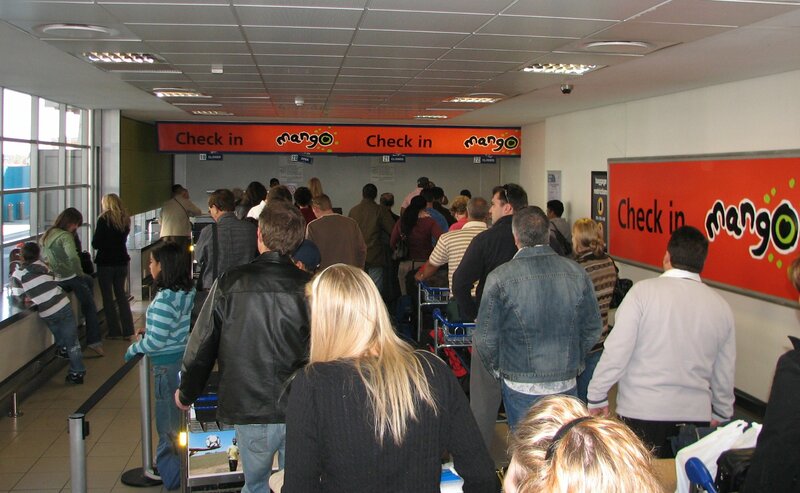 On arrival at OR Tambo International, Nick was also unlucky enough to discover his cellphone was stolen from his luggage. What do South Africa, Turkey, Mexico, Sri Lanka, Russia, India, Morocco, Thailand, the Balkans and Kenya have in common? According to the Indepedent (link removed as it stopped working), an Irish site, these exotic countries should be treated with caution when visiting. House robberies was highlighted as a particular problem in South Africa, whilst it was mentioned that the problems in Pakistan are overflowing into India. Avis - blowing money on advertising? While watching the cricket test match between South Africa and the West Indies, we couldn't help noticing the billboards advertising Avis car rental. It must cost a lot of cake to advertise on those billboards during a test match, and considering that Avis is a company (as opposed to being a charity), those advertising costs are surely included in car rentals. For those South Africans in Edinburgh, and for the Edinburgh locals looking for an African adventure, we've set up a dedicated webpage showing the options to fly from Edinburgh to South Africa, and we've also improve our webpages showing the options to fly from Edinburgh to Cape Town, and to fly from Edinburgh to Johannesburg. "The (non-existent) threat to Ireland from SARS is a media intervention which is in danger of running riot because of the absence of any common-sense response from panicked civil servants and spineless politicians... More people in Europe got killed falling off barstools this weekend than got killed from SARS." Michael O'Leary (the one in charge of Ryanair flights) expressing his views on SARS - Severe Acute Respiratory Syndrome, as told in Alan Ruddock's book, "A Life in Full Flight: The story of the man who made Ryanair take off".